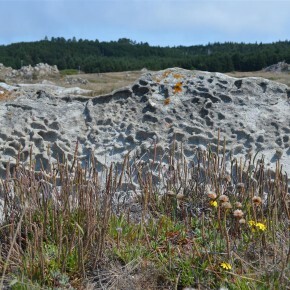 Nestled into the Northern end of the Sonoma Coast, Salt Point State Park is showcase of unique geology and stunning native plants. 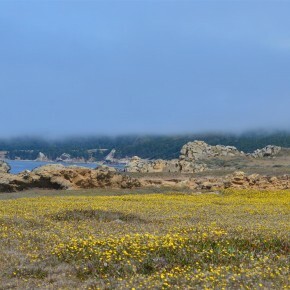 On a winding trail above bluffs of Franciscan melange and wind and salt pocked rock outcrops, are beautiful showcases of Buckwheats, native Plantains, and icy colored silver-blue California Poppies. 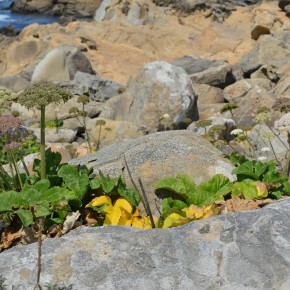 Each bend in the trail reveals a new treat, from plains of false Dandelion to Dudleyas clinging to the jutting boulders in host of vertical gardens. 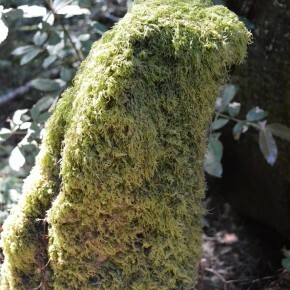 While the coastal walk is the main draw this time of year, there a multiple areas to be explored, with the Pigmy Forrest, open grassland and Rhododendron Preserve offering nice hikes on the other side of highway. Pick an early weekend morning to head-up the coast and beat the traffic on Hwy 1 and you won’t be disappointed. See more photos in our Facebook gallery of our recent trip. 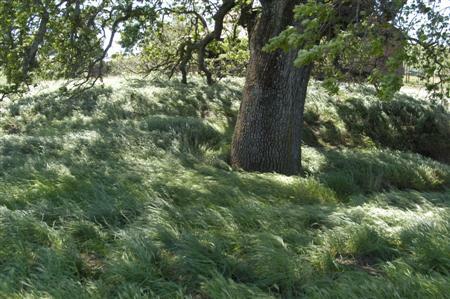 The Chronicle had an article today about the continued virulence of Sudden Oak Death in the Bay Area’s Oak Woodlands. 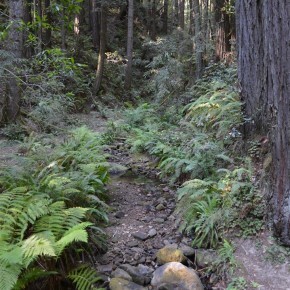 In Marin, 53% of samples taken tested positive for the pathogen, a spike attributed to high rainfall the past couple years that helps SOD spread. — Remove bay trees near oaks; this increases the survival rate of oaks tenfold. — Use phosphonate spray, which has proved to be effective against the disease. — Avoid doing large-scale projects such as grading, soil removal or tree pruning in infected areas during the rainy season. Another good preventative measure is to not plant host plants, such as Rhodys and Camellias in and around sensitive Oak areas. As with any planting, location can be a key factor to the plant’s success. As I was walking by an office building today, I noticed a stand of Redwoods planted within feet of an office building’s foundation. The trees themselves looked great, and helped to screen the building, but functionally it was clear the trees were misplaced. Half of the tree had to be pruned against the building, leaving them misshapen. Large scale trees may work well in confined spaces when young, but as they grow taller and as their root systems grow more pronounced they can cause significant problems. We have seen this time and again on projects where tree roots are disturbing foundations, and sewer or utility lines. Practically it makes sense to think about what the tree is being planted to do (screen, provide shade, visual presence etc.) and to take into account its mature size and the needed buffer distance to help prevent problems. Selecting the wrong tree for a particular application can be just as bad. 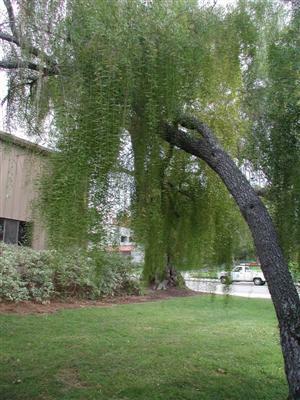 Just ask those with high rooted Birch trees planted in lawns or Liquid Ambar trees planted along sidewalks. I posted an entry a while back about a restoration planting that we had done for a personal project in the Sacramento Valley. On a recent site visit it is interesting to see how the native plants are progressing. Surprisingly, most are doing quite well, and continued survival rates are good so far. One major impact has been the grasses and weeds that have grown in the last month. This combined with lower than normal rainfall has taken its toll. One interesting specimine was a California Black Walnut sapling that was dead above ground. When pulled up, there was still living material at the top of the tap root, which had grown a few inches in the past few months. Pictured: Foxtail, Rye Grass and Other Grasses and Weeds Compete for Moisture and Often Crowd Out Native Plantings. There has been quite a show this spring as fruit trees and other blooming trees are really blooming this year. This may have something to do with a fairly mild winter and not a lot of late winter rain. On a trip up I-5 the almonds and other fruit trees where ablaze with blooms. We are finishing up on a project in Sonoma and putting in a large sod lawn. No matter how many projects we do, it is always amazing the impact of a sod lawn. Clients almost always react once the sod is installed- this turf is a dwarf tall fescue, bluegrass blend. Currently we are working on a personal project to upgrade vegetation for stream corridors and create hedgerows for wildlife on a site in the Sacramento Valley. The installation consisted of Cottonwood, Buckeye, and Black Walnut trees, with Toyon and Creeping Rye grass planted as well. Taking a look at the site again recently after the cold winter weather, most of the plants are doing quite well. Retention on plantings of this type is typically pretty poor- most of the plants are not irrigated, and they are being planted from liner containers (just sprouted from cuttings). While it is nice to see that the plantings have done well, with a 80-90% retention rate, the real test will be when the summer comes and the plants are exposed to 100+ degree temperatures without water. Fortunately, the plants were all chosen because they are native to the area and have adapted to such extremes of heat and cold. All the deciduous trees fared better than the Toyon, which was quite small and in some cases was frozen back in areas where it had less protection. A live Buckeye with green layer under bark. The scratch test is a simple way to test the condition of most plants. 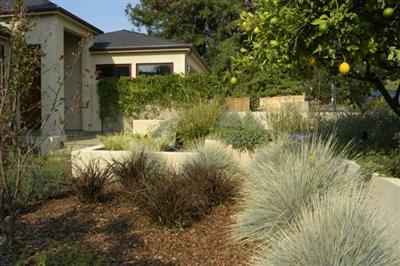 We are spoiled here in the Bay Area with a great climate that allows us to plant a wide range of plantings. These range from sub-tropicals, to more temperate plants and even bulbs. Occasionally however, temperatures will drop down below freezing, killing borderline plants. Frequent casualties are Bougainvillea, Lantana, Heathers and soft stem perennials. When it gets down into the low 20’s other plants such as Eucalyptus can also be in danger. This is just a part of dealing with climate changes from season to season. On plantings that grow quickly the best solution is just to replant after a freeze. For other specialized plants or plants that aren’t must haves, better to replant with something more hardy. 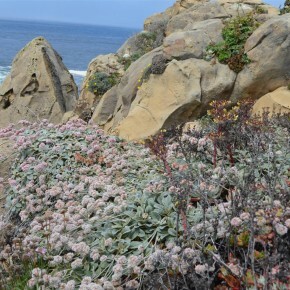 Sunset garden book is the best resources for finding your plant zone in California. Keep in mind that micro-climates such as cold sinks and other phenomenon can make certain areas colder or warmer. 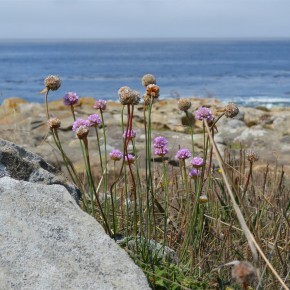 There was an interesting article in the latest Sierra Club Yodeler newsletter for Marin on planting native plants in winter time. Planting in late fall or early winter helps plants get established and ready for spring growth. New plants can also take advantage of winter rains. Q: We have several varieties of Rose Bushes in our garden. The sun is indirect there and there are trees doing their best to take over. We have been watering these roses every day … in what seems like hours the water has been running. What would be your recommendation. The soil is rather sandy and tight, but moist. Or, Sunset Garden Book recommends basin flooding if you don’t have drip irrigation and are watering by hand — in other words, creating a thick walled basin via a soil berm around the rose bush, about 3 – 4 ft. in diameter, then adding water by the hose to fill the basin. The idea is to deep water with enough water to wet the entire root zone of the rose. In hot weather, you might be filling the basin every other day. In general, by any method of watering, the object is not to get water on the leaves of the rose because it can contribute to mildew. Box trees are a great way to create an instant effect for landscape projects. While their long term benefit is gradually lost over time (typically trees growing from small containers catch up in the long run) the impact in the first 3-5 years is dramatic, giving an immediate presence and maturity to a newly installed landscape. 5 Gallon: Most trees are installed in larger sizes, some small trees (including multi-stem trees) and specimen trees like Japanese Maple are often found in this size. Height is typically 2-5′. trunk) on 15 gallons are typically .5″ to 1.0″ depending on variety. 24″ Box: Smallest common box size (the box size represents a 2′ x 2′ x 2′ box), the 24″ box is more mature than 15 gallons with heights of 8-15′ and callipers of 1″-2.5″ depending on species. 36″ Box: This tends to be more mature than the smaller sizes. Heights vary 10-20′. 48″ Box: Typically fairly mature trees with 3-7 years of growth at the nursery. Heights vary 10-30′, costs for these trees can be up to several thousand dollars. Large Boxes 60″ and up: These are for almost full grown specimens of smaller trees, and very well established specimens of larger trees. Of course trees can be used that are larger than standard container sizes. Full size mature trees (full grown Oaks and others) are moved with giant hydraulic spades, cranes, and trucks by specialty tree moving companies. One of the largest wholesale tree and shrub nurseries we use frequently for tree orders is Boething Treeland Farms, with nurseries in Northern and Southern California (Box tree photos from their Portola Valley Nursery). Valley Crest Tree Company: Valley Crest’s tree nursery division with specialty moving services. We got a recommendation for an organic deer repellent for plants from a client recently. 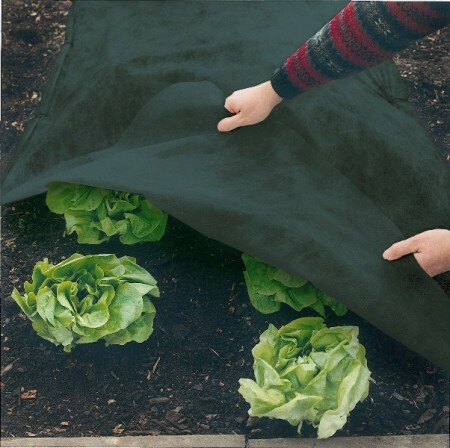 Plantskydd, developed in Sweden, is a non-toxic blend of blood meal and vegetable oils. Supposedly the material last 4-6 months after application, although we have not tried it on a project yet. The spray deters deer, rabbits, and elk from eating garden plants or vegetables. 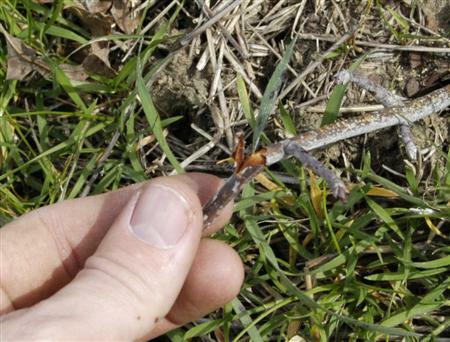 Yet another weapon in the fight to protect plants against deer. Sunset had a good article in this months edition on floribunda roses, otherwise referred to as shrub or bush roses. The article underscored an important point, traditional hybrid tea roses (those with the large long canes and traditional flowers) can be a challenge to grow if afflicted with a number of ailments (aphids, black spot, mildew, rust, deer and others). Shrub roses give the same quality of roses without the work of traditional roses. One of our favorites is Coral Seas, which seems to bloom all year with beautiful and dense blooms. For more on Rose care visit Ehow.com’s informative articles. Continuing on a book theme from yesterday I wanted to highly recommend a pair of books on Native California plants for horticultural use. Both are co-written by David Fross of Native Sons Nursery out of Arroyo Grande on the Central Coast. I have had the great opportunity to take classes from Dave, who has a passion and expertise for native flora that is unmatched in the state. In addition, he runs a great wholesale nursery operation, and you can find Native Sons plants in many retail garden centers. 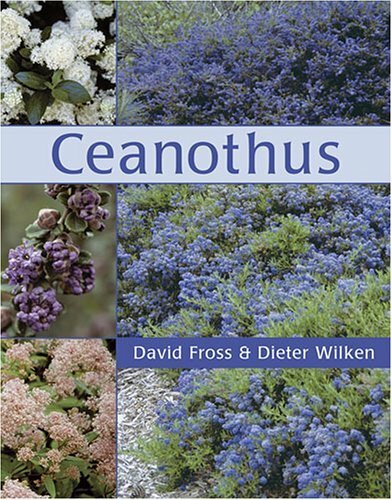 Fross co-authored the book along with a second being released for 2006, Ceanothus, which promises to be the authoritative title on a wonderfully varied native shrub and groundcover. Both these titles will no doubt make great additions to any gardener’s library. 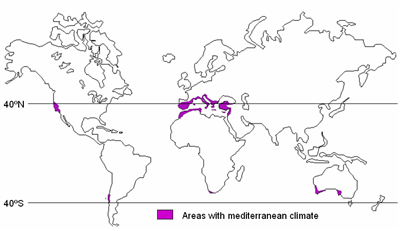 This is largest mediterranean climate region in the world, as indicated by the climate’s name. It stretches almost around the entirety of the Mediterranean sea and inland a good deal in places. It includes almost all of Italy and Spain and covers parts of western Asia. The basin has unique areas for developement of plants due to its large and varied geography. Cistus– Is an evergreen shrub commonly found in Spain, Portugal, and Morocco although it is also found in other parts of the world as well. 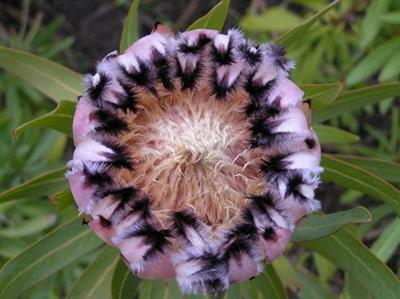 It has dark green foliage and its flower colora typically white, purple, or pink. Flowers are saucer-shaped and rather simple in character. Most are five-petaled and bloom for most of the year. They do best in warm areas. 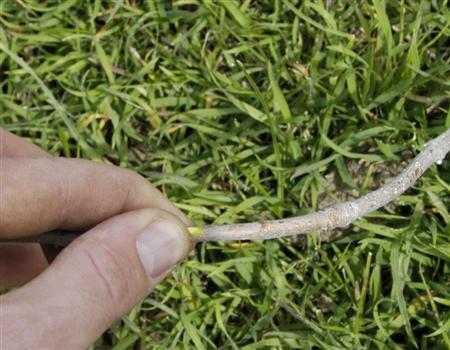 Growth is often best on rather dry soils. Some are frost hearty, and all are extremely drought tolerant. Narcissus– Over 50 species are native to the Mediterranean, they are part of the Amarylidaceae family and grow from bulbs. Narcissus are native to the eastern Mediterranean Basin area and found in hills, mountains, and valleys favoring a northern exposure. They often grow in large collective meadows. 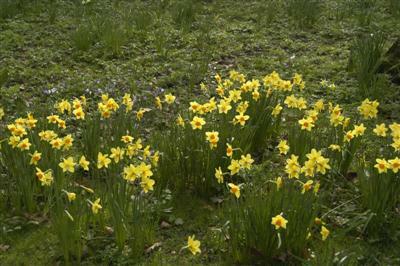 Narcissus multiply freely by bulbs and bloom yearly. They require cold weather to bloom well. Spring blooming is typical with fragrant flowers ranging from white to yellow in color. They are also quite frost hearty; down to -30°F. Olea– This genus of 20 species is native to Europe, and parts of Asia. 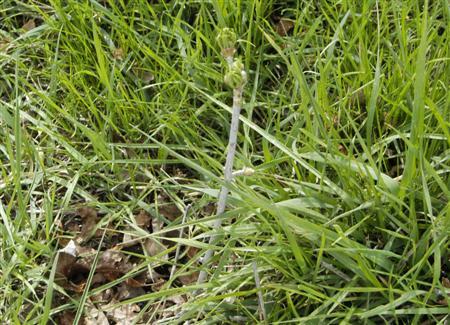 It is a prototypical mediterranean plant found throughout the mediterranean region. 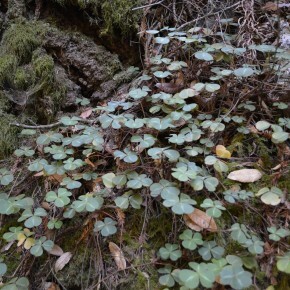 It has stiff leathery gray green leaves. Flowers are small and off-white in color, and fruits are a major economic crop throughout Europe and in the United States as well. 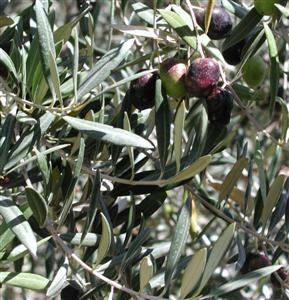 Uses of the fruits are mainly for olive oil and for the olives themselves. These plants like a mild climate and winter sufficiently cool to induce flowering. They are tough and highly tolerant plants. The mediterranean section of Australia consists of two bands on the southern portion of the continent. Specifically these are the southwestern part of the state of Western Australia and the southernmost part of the state of Southern Australia. Of these two areas the western section of mediterranean climate has more diversity. The influence of mountains in these areas is minimal, making Australia unique in this regard among mediterranean climates. Grevillea– This genus consists of over 250 species of evergreen shrubs and trees, as part of the protea family. 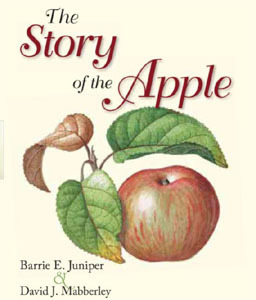 They are as a group variable in habit of growth, with all species being native to Australia, or the south pacific area. They usually have small flowers grouped into larger flower heads, with distinctive long styles, that give the flowers an interesting look to them. They are as a group adaptable and easy to grow, characteristic of their mediterranean origins. 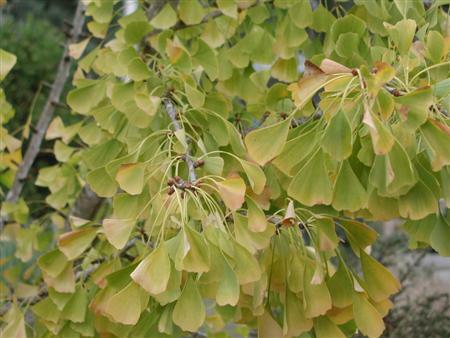 Leaves may be divided or ornamental as well, with some types being used for cut foliage. There are several hybrids available, which have been bred to be more floriferous. Hardenbergia– This small genus consists of 4 species of legume climbers. They typically have leaves divided into three leaflets, that are densely veined. 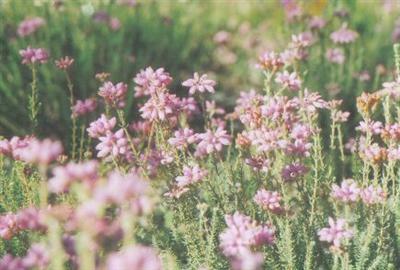 They have clusters of small purple or pink flowers and do best in similar climatic areas with mild winters. They prefer rich well drained soil, and grow in full sun or partial shade. Acacia– This is a huge genus of over 1,200 species of which 700 are native to Australia. They range from low growing shrubs to trees in character, and have generally bipinnate leaves, or flatten stalks that have replaced the leaf’s role and undergo photosynthesis. They have small flowers appearing in either groups or spikes and are often fragrant. Some species need fire to germinate. In horticultural cultivation many species maybe short lived, living only 10-15 years. In our continuing series about plants and the mediterranean climate we profile our local California climate. 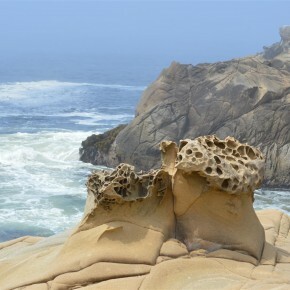 As a state California has an extremely diverse natural landscape. 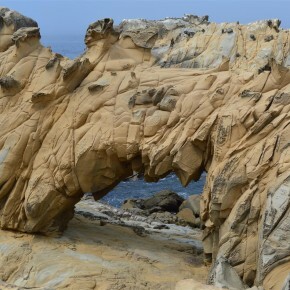 Its mediterranean climate extends inland from the Pacific Ocean to the foothills of the Sierra Nevada. It is these two influences that have the largest effect on California’s climate as whole. It should be noted that some people classify the extent of the mediterranean region of the west coast to extend through Oregon and Western Washington. These areas while receiving differing rainfall patterns also have predominantly dry summers, and it is feasible to group them into this mediterranean region. 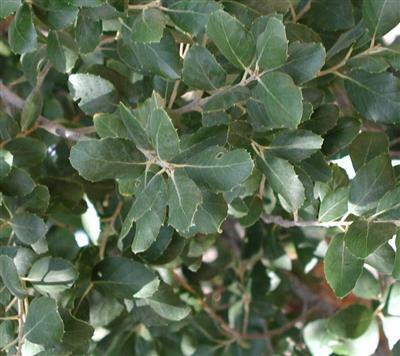 Quercus– This species of over 600 plants is native not only to the mediterranean regions of California, but also to a variety of other climates, including the Mediterranean itself. Plants consist of evergreen, semi-evergreen or deciduous trees and shrubs. They can range in height anywhere from 3 feet to 120 feet depending on species and conditions. Leaves tend to be well adapted to mediterranean climates and are often tough and leathery. In California many species are intolerant of summer watering, and make up a considerable portion of woodland habitats. They have deep spreading roots and generally have large spreading canopies. Flowers are insignificant, although acorns provide food for wildlife and were traditionally used in California as a source of food. Arctostaphylos: this genus consists of over 50 species, of evergreen shrubs including two rather rare small trees. These are tough plants with adaptive woody stems, leathery leaves and small clusters of white or pink, bell shaped flowers. The round leaves are oriented vertically to avoid sun drying and sunlight. Small reddish fruits appear in summer. 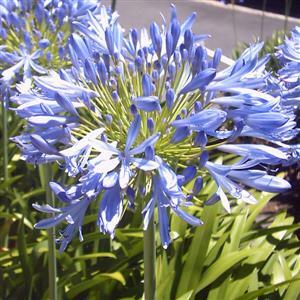 They do best in full or partial shade and are fairly drought tolerant. Manzanita attributes for a considerable portion of California chaparral communities and is not exclusively native to mediterranean climates. Eschscholzia– A relative of the poppy, the most commonly found California poppy is the state flower of California. It has large petaled flowers and intense orange or yellow blooms. A variety of other colors are available as a result of hybridization. Foliage tends to be fine and carrot like. Generally plants are small and grow up to a foot high and slightly narrower in spread. 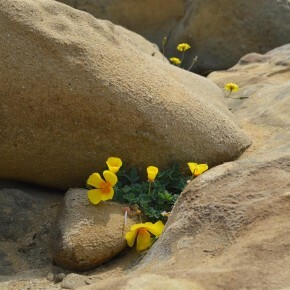 They are highly drought tolerant and adaptive to California’s mediterranean climate. They also naturalize readily under proper conditions, and have a somewhat wild, rustic character to their habit of growth. I was at one of our main wholesale nursery suppliers last week leading clients on a tour for a planting design. One of the things that struck me while I was there was the amazing number of flaxes available. For those not familiar with New Zealand Flax (Phormium sp. ), they are a New Zealand native that are part of the Agave family. They grow best in the US along the coasts- throughout the Pacific Coast, Gulf Coast and Atlantic Coast up to Virginia. New Zealand Flax is a versatile plant for California gardens. It’s grassy strap like leaves help it fit well with a number of styles, especially Mediterranean compositions, and those using ornamental grasses. Colors range from reds, purples, yellows, oranges and multicolors in sizes 18″ and below to 10′ and larger. Among those we use most are cultivars ‘Dusky Chief,’ ‘Yellow Wave,’ ‘Tom Thumb’ (Dwarf), ‘Jack Spratt’ (Dwarf) and a host of others. Cultivars are from two species Phormium cookianum and Phormium tenax.